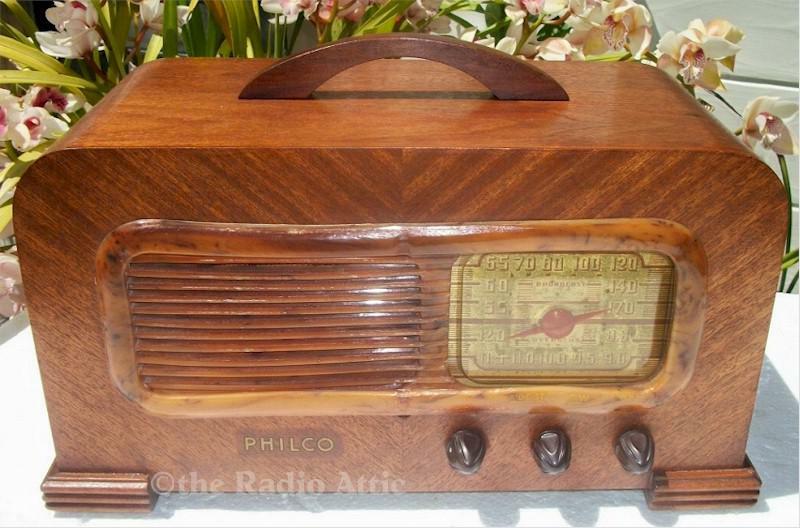 This set is what was known as a "Mantel Radio" in its time. It has been electronically restored now and has all brand new capacitors and electrolytics, all tubes have been checked on my tube checker and this nice looking radio sounds perfect and brings in your stations with good clear sound. It can also receive on short wave. 13-1/2"W x 7-1/4"H x 6-1/4"D.
You are visitor number 1,036 to this page.